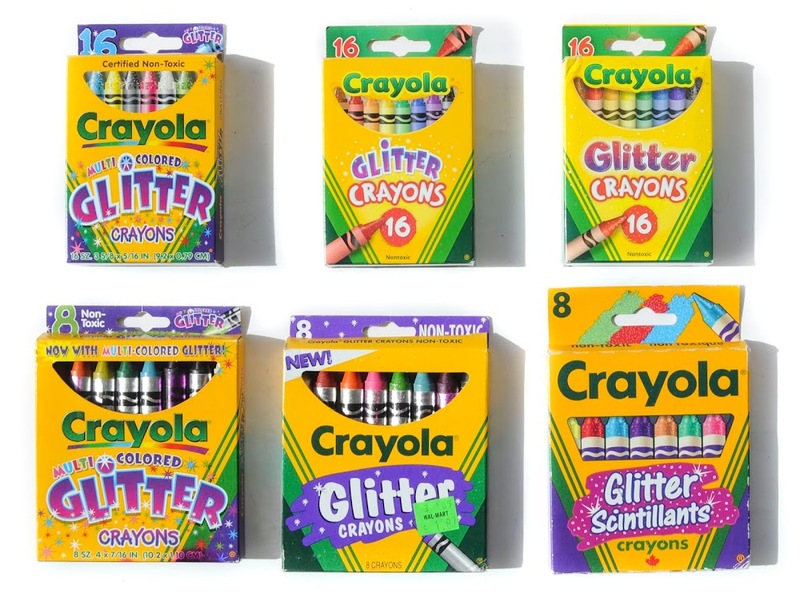 Crayola started making glitter crayons in 1993 starting with an 8 count box. 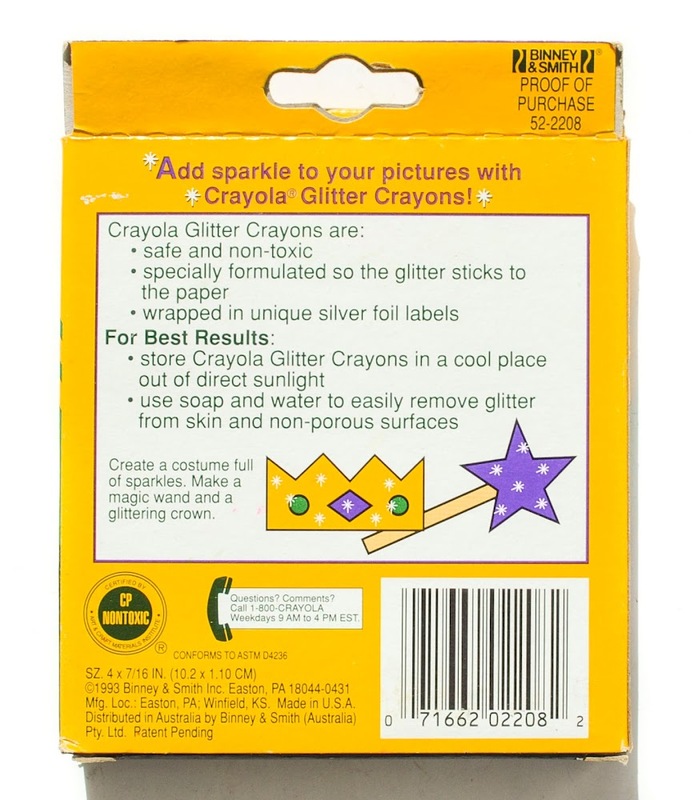 The glitter crayons have small specs of shiny material in them to help them sparkle when the crayon is used. 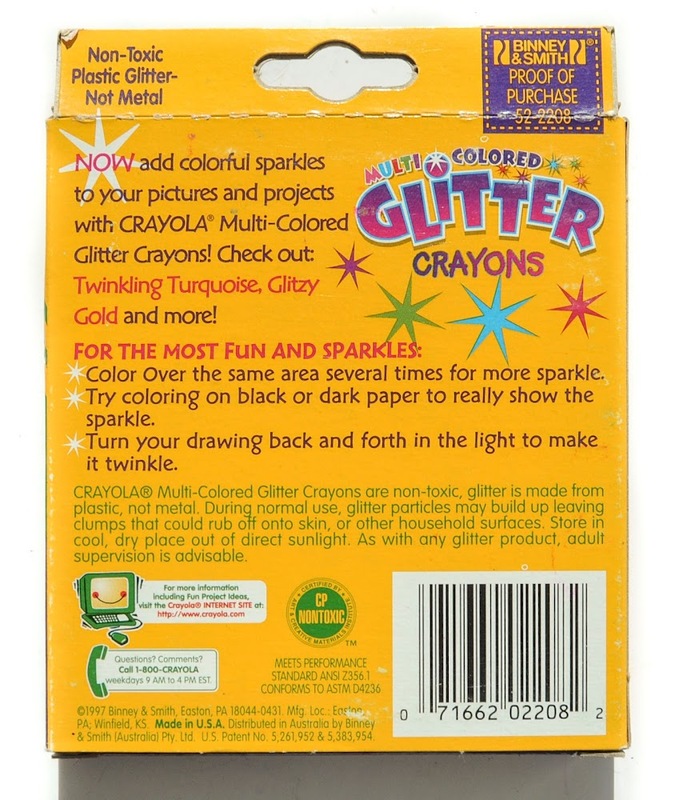 They had been experimenting for many years coming up with Silver Swirls, their first attempt at glitter crayons in 1990. 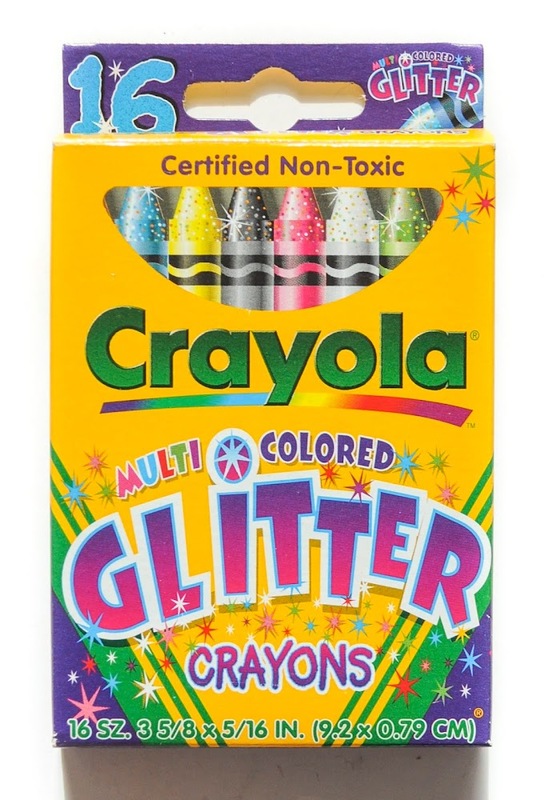 Do I like the current glitter crayons? I like them but I love the Silver Swirls and the GemTones even more. There was something magical about the Silver Swirls. 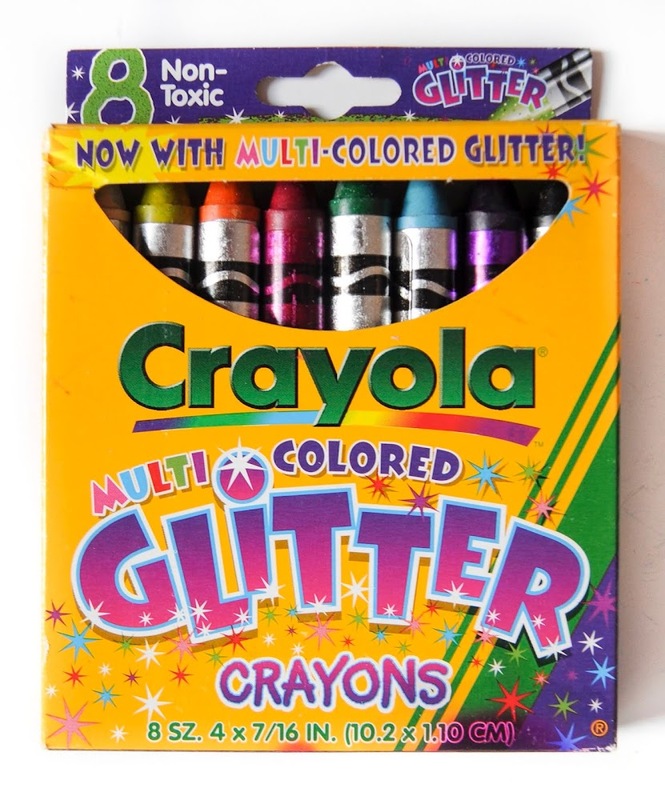 Since then Crayola has expanded the idea of glitter to chalk and glitter glue. 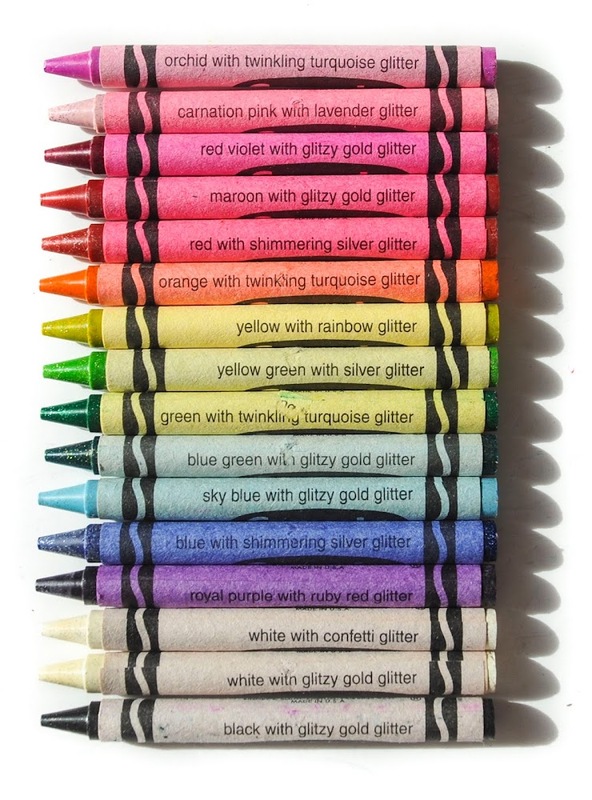 When the glitter crayons first appeared they had names on them. There were many iterations of 8 count and 16 count boxes later released. Sometimes the 8 count boxes had names, sometimes they did not. 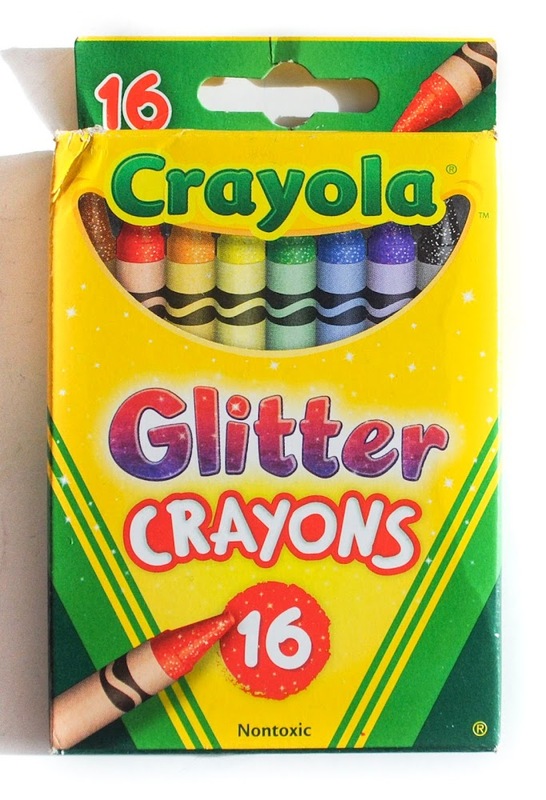 The only 16 box that had names was the Multi Colored Glitter Crayon box. I have inferred the recent glitter crayons some from the Star Wars 64 crayon boxes where the crayons were named. 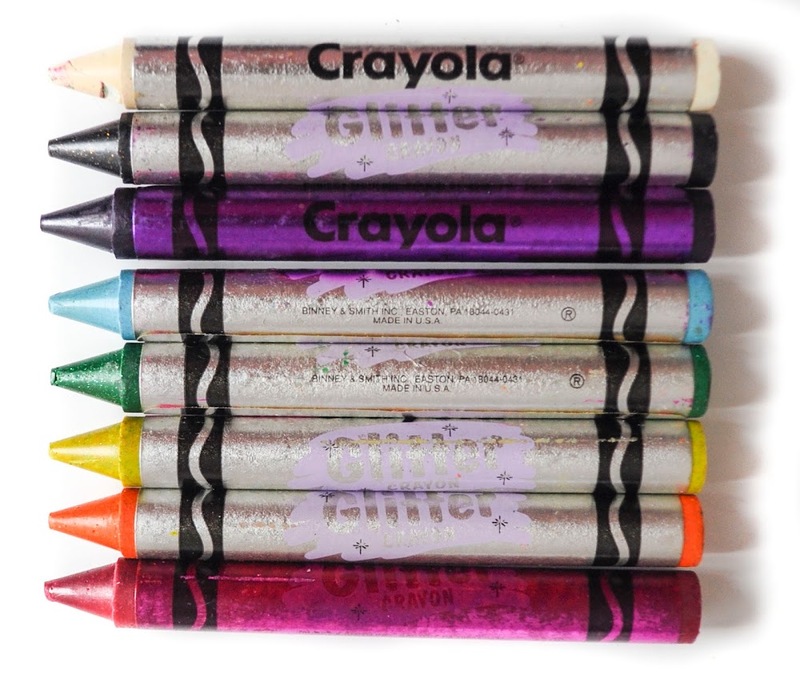 In 1993 Crayola started making Gem Tones, and then later Star Brite which were Gem Tones with different wrappers and Pearl Brites which were very similar to Silver Swirls. 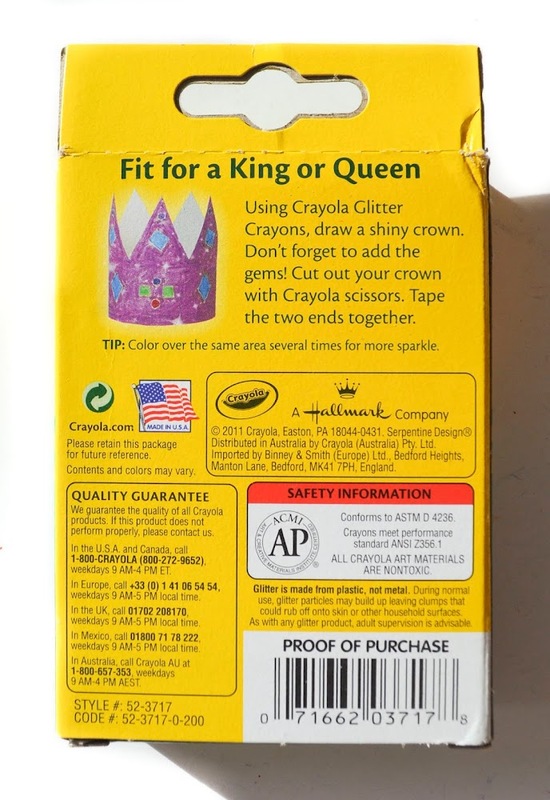 The current box of glitter crayons is still in production. 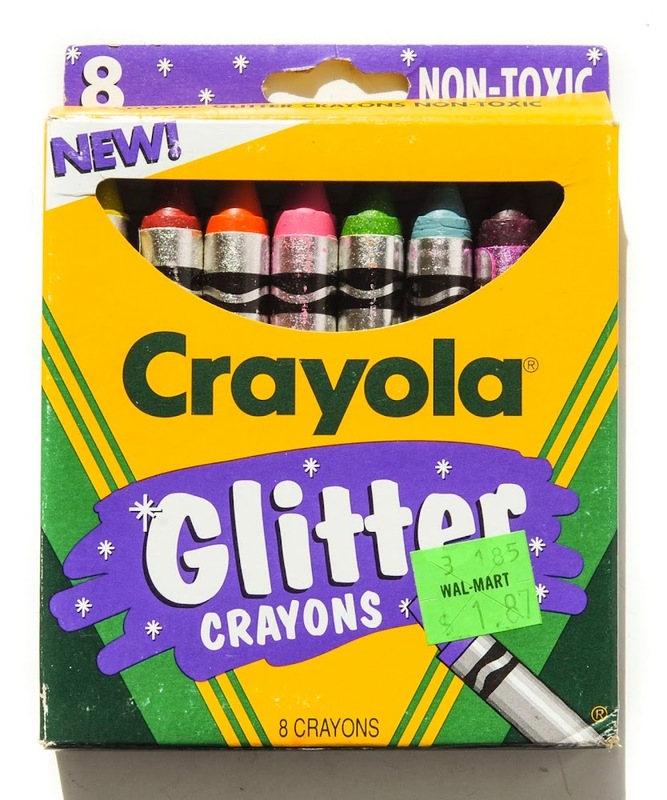 The large glitter crayons and named glitter crayons are not and are collectible. 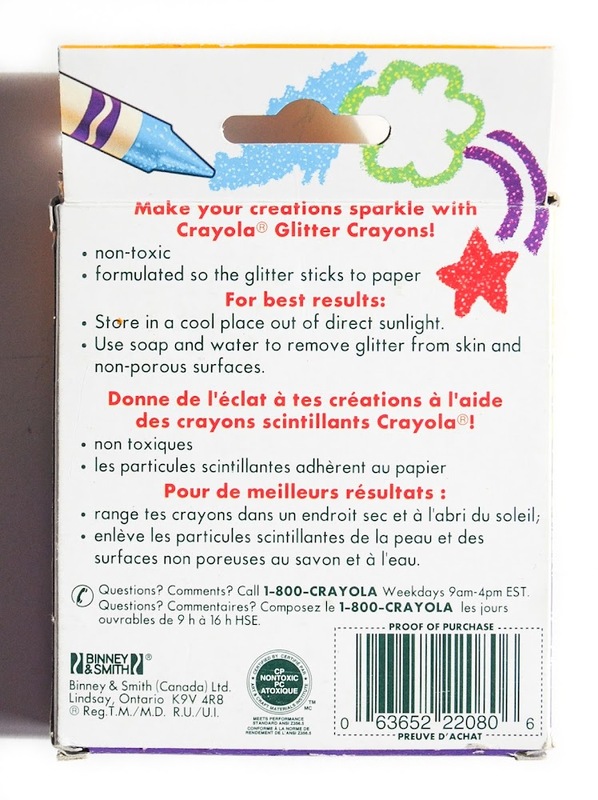 In 1997, Crayola released Crayons with Glitter as part of a Special Effects crayons package. 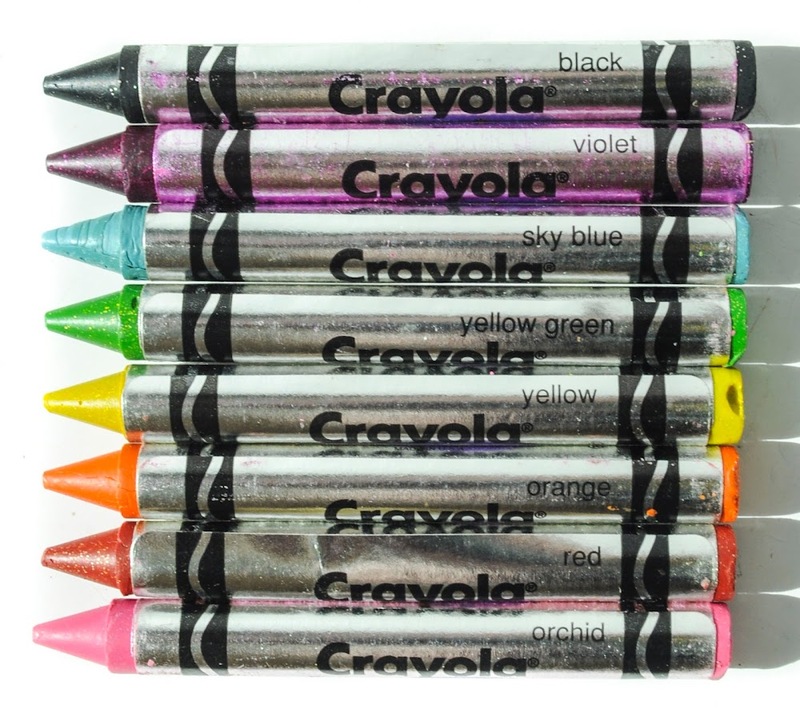 Starting as late as 1999, their crayon names don't appear on the crayon wrappers. 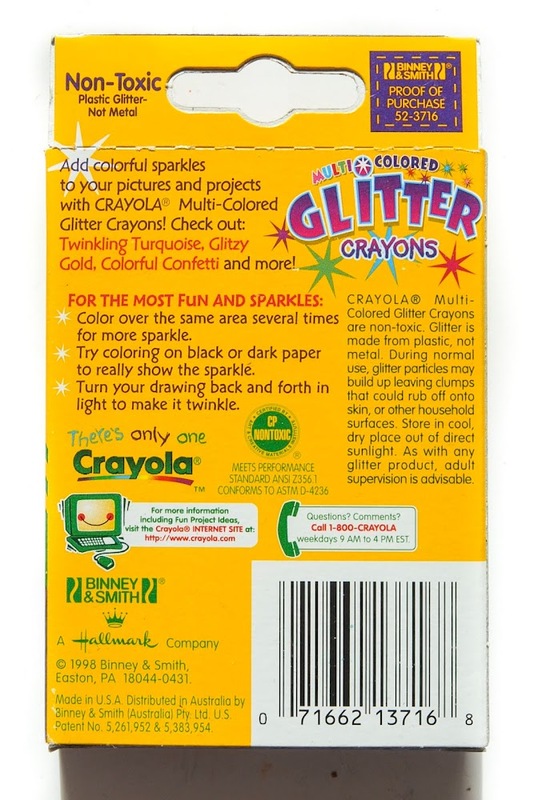 In the below list, the background represents crayon color, and the highlighted "square of glitter" around text represents glitter color.